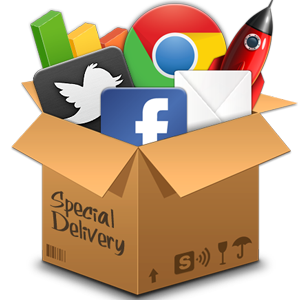 Most likely you may heard the famous sentence “Content is the king and delivery is the queen” if you are dealing with digital marketing in some level. Every digital marketer knows this fact but how can you ensure that you are creating an engaging, good quality content relevant for your target users ? There are some factors needs to be taken into consideration before creating an engaging content. Actually, “content creation” also needs to be discussed in detail as there are many variations of content creation like creating from scratch, repurposing, reusing, transcreation,… etc. For this article, we are not going to focus on these points but will discuss the ways of creating an engaging content. Every digital marketer should take into account the basic factors listed below to create an engaging digital content for their target customers. Once there will be a structured process in place for content and service creation, it will be easier to make it more advanced and efficient within the time through continuous improvement approaches. Direct feedback from the customers regarding your content is the best indicator of its engagement. Collecting user feedback via some simple actions like rating functionality or conducting some behavioural analysis to get customer insights are good ways of implementing this. Customers can tell you whether your content is engaging them. Of course, during the initial content creation process, you may use some market researches until developing your own insights data within the time. If you are creating content centrally, for instance in a global organization to be used by local marketers, you also need to take into account those marketers’ feedback. Although you may have market researches, customer journeys, … etc available centrally (mostly the case for global organizations), local marketers are the ones who knows the local market conditions better than anyone. Customer personas are high level modelling of your customers’ characteristics and their needs. And, they are also very useful to identify what type of content in which format via which channel are the most relevant ones for engaging your customers better. Having customer personas in place will give you the advantage of understanding your customers’ needs and providing expected content and services to support your marketing objectives. Another important exercise that should be completed before creating the content is to draw your customer journeys and mapping relevant content into those journey steps aligned with your marketing objectives. Different stages in journeys require different type and format of the content. Any content or service that is going to be created have to be linked to your marketing objectives. If you cannot identify this relation, you should stop doing content creation and re-think the relevance of your content. Alignment with marketing objectives is the most important factor for creating an engaging and good quality content or service. You may have an engaging content but if it is not linked to your marketing objectives than it has no value unfortunately. As mentioned at the beginning of the article, while content is being identified as king, delivery is being said as queen. Yes, delivering the content in the best way aligned with customer needs is one of the critical success factors impacting the engagement of your customers. You may aligned with all previous factors listed above but without taking into account the usage of the right channels based on customer needs, you may fail. Giving the right messages through the right channels has a significant impact on success of your content and services. Engaging and good quality content creation is the correlation of the 6 basic factors mentioned above. You may expand this list for sure by adding more items but these 6 factors are the key ones needs to be taken into account for the success. And, content creation is also not a one-time task, it is an ongoing set of process connected to each other which are always open for more improvement. So, you should also establish a continuous improvement plan to increase the quality while optimizing your processes and decreasing your cost. Organizations can put such a comprehensive content creation processes in place are closer to be successful in terms of engaging their customers than others who are not implementing such methodologies. Previous Where to start for creating Digital Strategy ?